The British are islanders at heart. The sea shapes our physical landscape, being bound as we are by the sea, but also our identity, from our school lessons on the deployment of the Navy in the First and Second World Wars to the historical figures we remember such as Horatio Nelson, James Cook, Francis Drake and Charles Darwin. 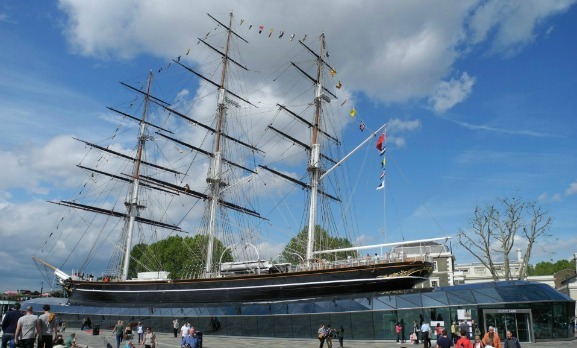 So, on your voyage into British history and indeed Britishness itself, where could be better to make your first port of call than The Cutty Sark at Greenwich? The Cutty Sark is Britain’s oldest tea-clipper and its site in Greenwich acts as a tribute to merchant sailing worldwide. 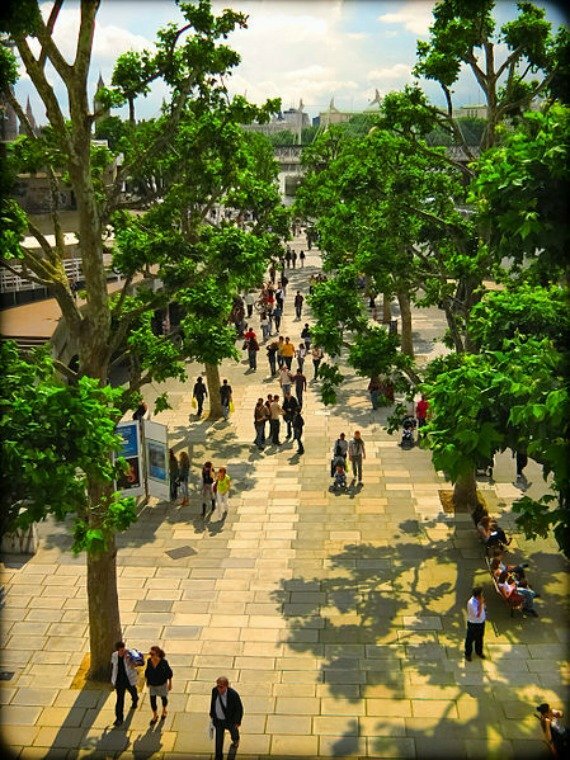 After a fire in May 2007, which left the ship requiring extensive repairs, the Cutty Sark was re-opened by Her Majesty the Queen to the public on April 25th, 2012 and has since become an exciting architectural destination, too. Unusually, the ship is sunk into the ground, with a glass sea placed where the waves would once have lapped the sides. 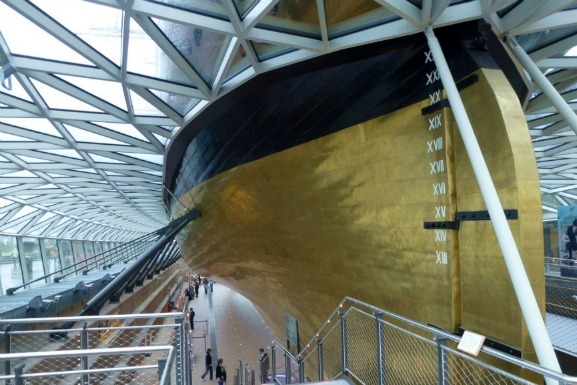 The gold hull of the restored Cutty Sark. The view beneath is equally surprising. With a long shiny brass-coloured hull and above a ceiling with paned windows and views toward the Greenwich skies above, you are given ample scope to ponder the majesty of this ship. There is also a lovely little café, The Even Keel (but of course! ), from which to aptly sip tea as you appreciate this clipper. Carrying wool and tea across the sea. The Cutty Sark first transported tea from the tea plantations of China straight home to the British teacup. With the Suez Canal opening in 1869, however, the faster steam ships began to take over this work and the Cutty Sark was forced to tramp for cargo. The ship turned to transporting coal from Nagasaki to Shanghai; jute from Manila to New York; and jute, castor oil, tea and the Australian mail from Calcutta to Melbourne. For many years the Cutty Sark carried wool from Australia back to British shores, but as the steam-ships began to eclipse the sailing ships in all aspects of trade, its British owners decided they had had enough and sold the ship to the Portuguese. 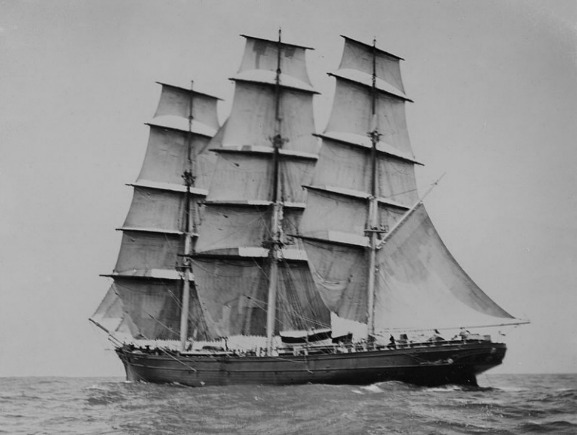 The Cutty Sark became Ferreira and with its new name came new destinations with the ship docking in Rio, New Orleans, Mozambique and Angola. After Portugal declared war on Germany in 1915 in The First World War, the ship ran the constant risk of being sunk, but it was eventually the urgent need for repairs that led to her retirement and ultimate return to Britain when she was spotted at Falmouth by Wilfred Dowman, who paid over the odds to have her returned home. The Cutty Sark was then lovingly restored and used for training members of the Royal and Merchant Navies throughout the Second World War and up until 1950s when it featured as a cultural icon in the Festival of Britain. Just before Queen Elizabeth II’s coronation in 1951, the Cutty Sark Society was formed and the ship formally went into the possession of Prince Phillip on behalf of society. Since then she has been based in the dry dock in Greenwich and visited by over 15 million people from across the globe. 55 years after the Cutty Sark was originally opened to the public, the ship is now a triumph with a grand hall beneath the hull showcasing a collection of unusual figureheads alongside snippets of maritime history for you to peruse. Head upstairs and you’re straight into the lower hold, and free to roam amidst stacked crates, with the smell of fresh tea enticing you through. Climb the metal rungs to the tween deck and you can turn your own hand to ship steering in a video game and further explore the cargo it would have carried, but really it’s the main deck that holds all the cards. With cabins to climb into, and then wonder how grown men ever fit inside, and a galley so small it seems impossible it could have catered to the ship’s crew, this brings day-to-day life on the ship into reality. 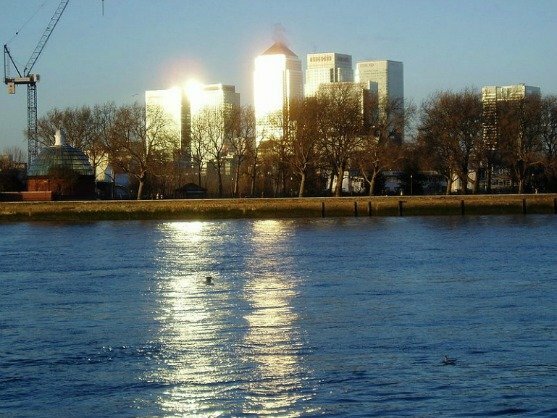 The view from Greenwich to Canary Wharf. The views are also impressive, stand at the helm as if steering out onto the water of the Thames and as you look up at the bright towers of Canary Wharf, you can imagine The Cutty Sark returning to the city after many months out at sea. Behind the stern, Greenwich Park slopes upwards to the Royal Observatory and the start of the meridian line. 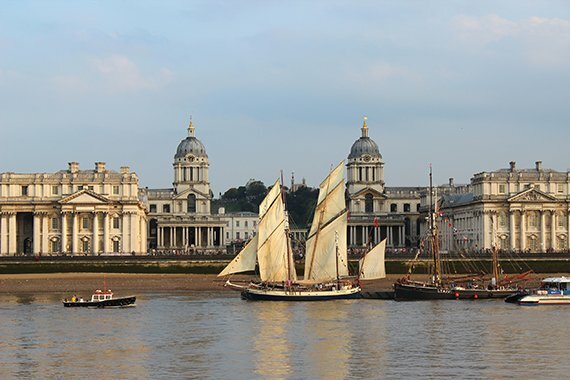 Port takes you into Greenwich market, a treasure trove of little shops, a village within London, and starboard to Greenwich University and the National Maritime Museum, where you can delve a little deeper into our maritime past. Posted on Friday, January 17th, 2014 at 11:44 am in See & Do. You can follow any responses to this entry through the RSS 2.0 feed. You can leave a response, or trackback from your own site.